United Airlines® is proud to offer tons of flights to New Zealand. 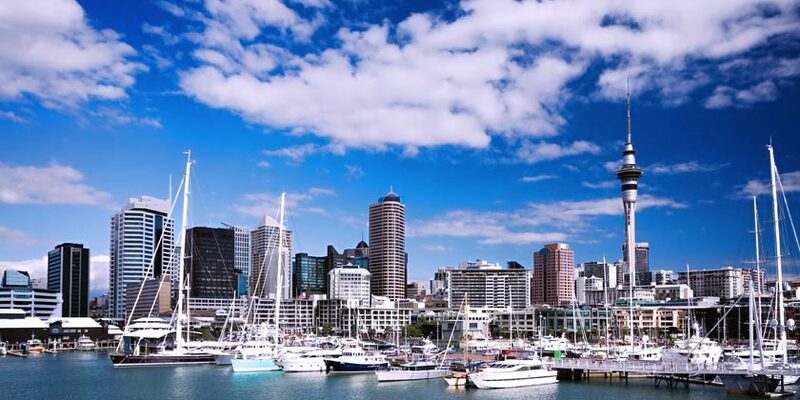 Don’t overlook Auckland and New Zealand when considering a trip to the South Pacific. This immensely livable city combines the convenience of a metropolis with the welcoming hospitality of a small town, all surrounded by ocean-kissed beaches. From here, it’s easy to explore New Zealand’s storybook landscape, full of rainforests, hot springs and romantic vineyards. See the best of Auckland on a half-day sightseeing coach tour that showcases the city's highlights, from heritage -listed buildings to the stunning Viaduct Harbour to great views. You'll glide past Auckland Harbour Bridge, Bean Rock Lighthouse, the Sky Tower and historic Devonport, with a brief stop at Rangitoto Island. A safe and easy walk on specially engineered catwalks takes you from the base to the summit of the bridge, with amazing views all along the way. Discover why Waiheke Island is renowned for producing some of New Zealand's most celebrated artisan wines on this premium tour of three vineyards. Resort info: Situated above the Atrium on Elliott shopping complex, you will enjoy being in the heart of the central business district with an abundance of entertainment, dining and shopping nearby. Resort info: Enjoy a peaceful subtropical setting at Holiday Inn Auckland Airport Hotel, just 4km from Auckland Airport. Resort info: The Langham Auckland offers luxurious 5-star accommodation and a prime location in the heart of Auckland city.